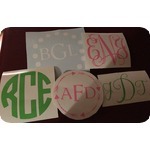 Personalize your items with a beautiful 4" monogram decal. 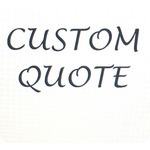 They can be applied to any clean, flat surface such as wall, yeti, mug, car, iPad, laptop, phone case. Possibilities are endless.